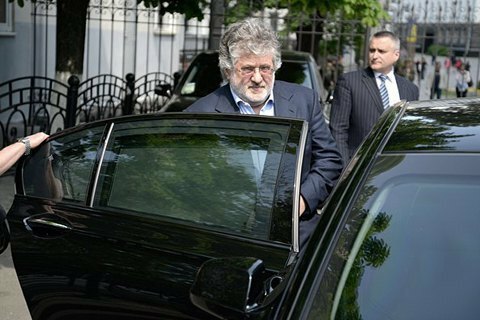 The bank plans to recover 2.5 bn dollars from Ihor Kolomoyskyy and Henadiy Boholyubov. The High Court of England on 19 December issued an order to arrest the assets of former owners of Privatbank Ihor Kolomoyskyy and Henadiy Boholyubov, the press office of Privatbank said in a statement on 20 December. "On December 19, 2017, the High Court of England issued an order for the worldwide seizure of the assets of Messrs Kolomoisky and Bogolyubov and six companies that they are belived to won to or are under their control. The seizure order was issued on the basis of detailed evidence provided to the court proving that Kolomoiskyy and Boholyubov withdrew almost 2 bn dollars from the bank through a number of illegal operations, as a result of which funds were transferred to companies that they secretly owned or controlled. Through this process, Privatbank plans to return funds, the amount of which, along with interest is more than 2.5 bn dollars," the statement of Privatbankreads. A few days prior Kyiv's Solomyanskyy District Court banned in Kolomoiskyy's lawsuit an investigation (forensic audit) of the withdrawal of funds from Privatbank before nationalization. Privatbank was transferred to state ownership on 21 December, 2016, when the previous owners Kolomoysky and Bogolyubov brought the bank to insolvency. NABU is investigating into the possible abuse of office by NBU officials and gross embezzlement of Privatbank's funds by management and stakeholders that incurred over 100 bn hryvnya losses to the state.